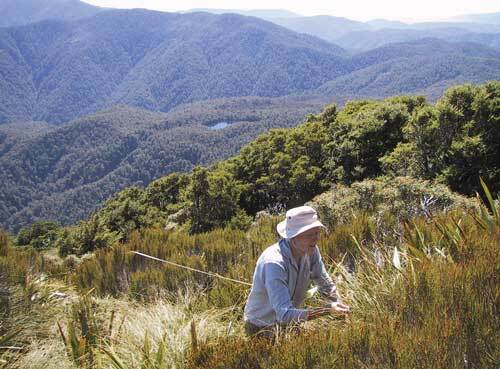 Much of what is understood about the biology of trees at the timberline has come from the work of New Zealand plant ecologist Peter Wardle, seen here in one of his timberline plots on the Mataketake Range. He has noted that beech saplings are growing some 10–20 metres above the current timberline. This is probably due to the increase in mean annual temperature over the last century.